Hello there and wishing everyone a happy new year! Welcome back to the first Saturday Sesh of 2018 – the linky hosted by myself and Lucy from What My Fridge Says. I hope you had a lovely, restful and joyful festive season and are feeling good about the new year. We really enjoy reading the excellent and eclectic blogs that join us and are looking forward to getting back into the swing of things after the Christmas break. My featured post this week is actually from my fabulous co-host! I relish Lucy’s virtual pep talks and her post about accepting that you won’t get on with everyone was oh so empowering to me. In fact I’d go as far as to say it was revelatory. What I don’t have to worry what EVERYONE thinks about me?! You mean I don’t have to be such a ‘people pleaser?’ This post will stay with me along time and help me in my own New Year’s intention to be more resilient in 2018. Click here to find out who Lucy’s featured blogger was. 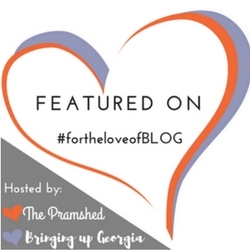 Feel free to grab yourselves the ‘featured blogger’ badge Lucy ;-). • Comment. Sit back, relax (it’s the weekend after all) and share the love by commenting on some great blogs. #thesatsesh comment etiquette is to comment on one of each of the host’s posts and also to comment on the post directly BEFORE yours and the post directly AFTER yours. IF YOU DO COMMENT ON MORE… THAT WOULD BE AMAZING and you will of course go to the top of the class! Do remember to pop #thesatsesh in your comment so the blogger knows where you’ve come from. • Join #thesatsesh community on Instagram. Have a photo of your weekend fun which you’d like to get some love or maybe it’s a photo connected with the post/s you linked up? Then by all means join our little IG community #thesatsesh to boost your likes and comments. Follow us on Instagram @mission_mindfulness_blog and @fridgesays and we will follow you back to keep up to date with you all. Thanks for joining us and making #thesatsesh community such a friendly and supportive one.